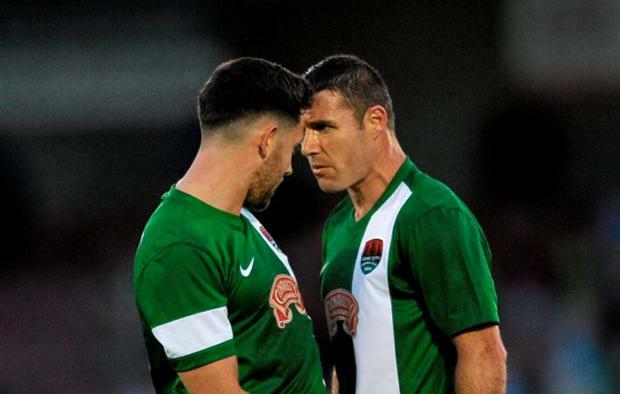 Billy Dennehy looks set for the exit door at Cork City. The Rebels manager John Caulfield has revealed that the winger has been allowed to explore other options. He is not in the City squad for this week's Europa League second leg tie with KR Reykjavik in Iceland. The first leg finished 1-1. Caulfied was adamant that the decision was not related to Dennehy's on field bust up with Mark O'Sullivan at the end of the first leg in Turner's Cross last week. Speaking to RedFm, Caulfield said: "Billy Dennehy isn't travelling with us. I've let Billy explore other options that are on the table. "The bottom line for me as manager is to do what is right for the club going forward."